When I was first writing about strength training back in 1992 I coined the terms alpha strength and beta strength to differentiate between the two manifestations of human muscle strength. It’s important to understand these two forms of muscle strength and how to train to improve them. Alpha strength is our ability to perform a great amount of work in a short period of time. We see this ability in a 10-second sprint of 100 meters or a world-record bench press of a single repetition. Some people refer to this as explosive strength but I avoid that term because there are trainers who try to get people to do “explosive” exercises with heavy weights and that is a huge invitation to injury. I prefer the term momentary intensity. Momentary intensity or alpha strength is easily measured. It’s the total weight you can lift in one minute or in 20 seconds or in 5 seconds or whatever time frame you choose to measure. Originally I used the Power Factor measurement to calculate momentary intensity. If you did 10 reps with 200 lbs in one minute it meant you lifted 2,000 lbs per minute or had a Power Factor of 2,000 for that exercise. So to ensure progressive intensity all you had to do was improve that 2,000 number next time. Alpha strength is a pretty easy concept to understand; it’s the rate of lifting. Beta strength is a more subtle concept. It’s the ability to sustain a relatively high intensity of muscular output. Nobody can maintain his absolute peak output for very long. The best runners in the world are already slowing down significantly between 200 and 400 meters of distance which is less than a minute of exertion for them. The world record holders for bench press or any other lift cannot hoist their record-weight three times in a row. This is true for 100% of humans. The fact is there is an inverse relationship between how intense an exercise is and how long it can be maintained. Once we had a Power Factor measurement of intensity this phenomenon showed up graphically. For example, a person could generate a Power Factor of 1,500 lbs per minute for two minutes last week but generate a Power Factor of 1,500 lbs per minute for three minutes this week. So his average momentary intensity did not improve whatsoever yet he was able to sustain it for 50% longer. That means he got stronger, right? So how do you measure that? The Power Index measures sustained intensity and beta strength because it takes the total weight into consideration (P.I. = W^2 / time x 10^-6). This way we can spot improvements in the ability to sustain high intensity, or beta strength. In the above example, while the person’s Power Factor stayed the same, his Power Index would go from 4.5 to 6.75 showing us immediately that improvement was made. If this person wanted to improve his beta strength his next workout would need to generate a higher Power Index. Trainees wanting more muscle endurance power and/or more workout volume should train by improving their Power Index. These issues are a piece of cake when you have some black and white measurements to guide you instead of trying to guess how much ‘burn’ you experienced today or how ‘pumped’ your muscle is, or how ‘confused‘ it is. Haha. 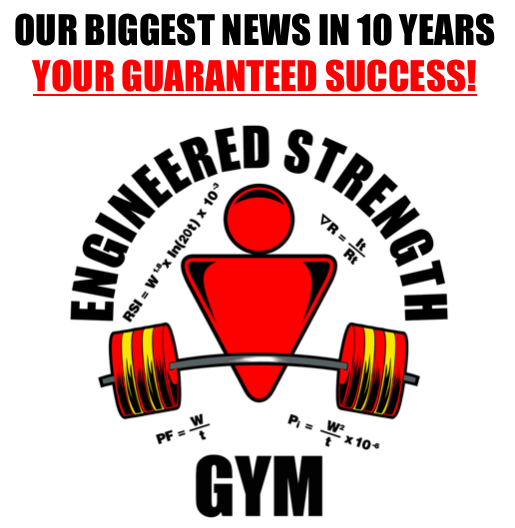 Another great benefit of having an objective way to measure alpha strength and beta strength is that it shows up the lies that fly around gyms and websites about this or that exercise or this or that technique or training system that has miracle muscle building properties. If your momentary or sustained intensity decreases there is no way you will build more muscle. The human body doesn’t work that way. Sit in the shade and you won’t deepen your suntan, do a goofy exercise with a lower P.F. and P.I. than your current exercise and it will not – can not – build more muscle for you. 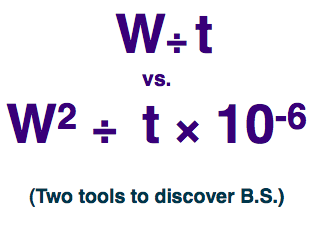 When you use meaningful measurements you are training with your brain. Pete, you mentioned that a new Power Factor Workout product will be made available…how would it be different to the previous edition? Is the difference only in the recommended sets (using info from WVR)? In my normal gym workout, on biceps day I would do three different bicep exercises. With SCT, do I do just one bicep variant at max weight for 15 seconds? I’ll try not to ramble here. I was wondering if anybody could go into detail about the amount of rest time between contractions. If I’m understanding beta strength correctly you would be doing more than one static contraction if you’re trying to progress your beta strength. I was trying to ask this question in another post but I don’t know how well I suceeded. I would think that the less rest you have between contractions the more aerobic effect it would have? The greater the rest the more towards purely strength? Even though you could have very different rest times between contractions you are still subjecting you muscles to multiple contractions with the same amount of resistance, at least if you’re using conventional equipment. I’m hoping somebody can understand what I’m writing. It’s going to be that plus I’m adding something to increase the utility of the program significantly. I hope to have it ready next week. Where did you read 15 seconds? I’m curious because we have not recommended that for over 10 years? I’m not sure what you mean by aerobic effect. Intense lifting is, by definition, anaerobic. But did you mean it might improve your cardio performance outside the gym? Yea I was wondering if by doing more than one contraction would build more endurance and aerobic capacity. But this would also depend on how long you rested between contractions. I would think there would definately be different physiological reponses if one rested for say 10 seconds vs. two minutes. My concern with the long rest is how much the average intensity is reduced. Forcing muscle growth is (almost) all about intensity of output. If you deliberately dial back the intensity I can’t see what is gained. And in any event, next workout you have to ratchet the intensity up some more so those long rests can’t last anyway. I definately see your point. My post on the “no pain, no gain” article was going against this. I think what you just said here makes sense. I believe one way to resolve the concern about rests in between static holds (or PFT reps/sets)is to use Pete’s new Hybrid program. I started using it a few months ago and it pretty much forces you to keep the rest periods brief, and let me tell you, the intensity of this program is beyond what I’ve personally experienced with his regular PFT or SCT training programs. I wish I could put into words, the “exhausted” feeling after I’ve completed a hybrid workout. Like my lifting “fuel tank” is completely sapped. Are you the same guy I was talking to on Amazon.com? I’ll have to check out the Hybrid Program. Yep, the same guy. Glad to see you on here! And yes, check out the hybrid! You have mentioned before that only 10% of people would benefit from Beta workouts, ie marathon runners. Is this because most of the people that you talk to are weight lifters? My guess is that there are a lot more than 10% of the total population who would benefit from Beta workouts! Pete: You’re killin’ me here! This new info will alter the hybrid program? Fine, because I know I’m going to want it anyway. You could be right, Tom. I get a skewed sample for sure. Lately I feel like we have pretty much cracked the nut on the most efficient training and now I want to work on some other aspects, like the intensity/volume mix. Haha! The hybrid program was about adding in more arm and ab training and boosting SCT volume. That was the hybrid part. But I’m working on this issue of sustained intensity and pushing a bit harder in terms of what a muscle can generate. Part of the breakthrough is providing a way for people to visualize what is happening. Very cool. I look forward to it. I have one major complaint about your workouts; they tend to take over my life. I’ll explain. The weather this last week has been beautiful and I wanted to take a bike ride, but I didn’t because I knew that my bench and close bench workout (one of my favorites) was coming soon. I didn’t want to take a chance on not being able to increase my poundage, power factor and power index, which I usually do. Nevertheless, I had a horrible workout today, I think because I had to do some light landscaping in the yard yesterday, and my reserves were depleted. Now, I have to wait another 21 days before I get to try to increase everything. Major Bummer! I’m so intent on making gains that I now plan my other activities around my workouts. Maybe I’m just sick. Haha! But you’re so much better off than the guys who go the the gym 3 days a week and never know that every trip is wasted. And you have more time for landscaping. I have your PFT book from the early 90’s (the one w/ the black cover with red lettering) and the original SCT booklet (the small yellow paperback). I found both to be informative and that both workout programs worked well, for me at least. The PFT was what worked for me the best, however. I was wondering what your new programs had different from what I have already. Is it a conglomerate of the two? What’s with the alpha and beta workouts? Do you still mark your progress on the graphs w/ the power factor and index? I’m interested and intrigued but do not want to buy the same info again, repackaged. Please Pete, or anyone else out there who’s done it, school me. the hybrid you are talking about, is that the 3 minutes of 5 second holds? its very intense and i have done it four times now. two days ago i decided to try the single 5 second hold workout again. i am at 6 weeks between the same workout now. in the leg press i went from 1940 pounds the end of last october to 2505 pounds a couple days ago. did it three times partly because i couldnt believe it. held it 10 seconds then 5 then 6. bench went from 355 to 395. dont know how much more i can get on the leg press without breaking something. at least with the hybrid i can use a little less weight. has anyone else tested themselves this way and how did it go. thanks for listening. LJ, my rule is that every 15 years you have to buy something from me. Haha. I should have the whole story next week. A 2,505 lb leg press is impressive. It’s a Toyota Corolla. Well done, Chris! PFT…probably i’ve been the first in Italy to receive a copy of this book in 1993. And since then, has been a good reference for me. It’s an old copy, still in the booklet form, but always in the first shelf of my bookcase. A good book that gave me good results. make the lift a little harder…start your lift about one inch closer and hold about one inch closer and see what that does to your lift weight. ie lower the catch or add a folded towel behind your pelvis, this will keep a little bend in the knees. that is soooo great 2500lbs, i love it. First timer, I understand the comment in your book on specific supplements not being important for muscle growth and gains. My nutritional background still insists that the essential building blocks are just as important for health and tissue growth. What are your favorite diet and food supplements? Hi, according to WHO the need for supplements for protein is very low. The body produce about 200 grams of protein pr day and the daily intake of protein is then fairly low. If you eat enough then any vegetable or fruit will provide the needed protein and also the essential fats. I do eat a tea spoon of flax seed every now and then though, but that is mainly for ginestin. Dr McDougall have further information on this, as does Dr Doug Graham. Muscle is built only by getting stimuli and then resting, the diet you eat decide how much rest you need to recover between workout, the cleaner the fuel the shorter the rest. I personally believe that diet doesnt play that big a role in building muscle (as “evidenced” in labor workers and prisoners), but something has been bugging my mind for some time. Certainly one cannot take away the number of researches that state consuming protein (outside the body) is essential for building muscle. And what about the people who got great results from consuming hundreds of grams of protein? Top earning nutritionists and personal trainers have great results with clients by tailoring their diet to consume lots of protein and at precise amounts. It is arguable that the diet only speeds up the recovery, but I have doubts that world champion bodybuilders would look as big and as cut as they are (steroids or not) without consuming a huge amount of protein. Again, I am still of the belief that diet doesnt play that huge role, but this fact sorta bugs me. What’s the most anyone has reported benching with SCT? I’ve seen some impressive shrug and leg press stats but I wonder how far guys have taken it with their bench? Love your system Pete, I will never waste another workout! I don’t ask people that so I don’t know. Many people have worked up into the 700’s on the bench press. Leg presses have exceeded 2,500 lbs but I don’t know how much higher those numbers go. But it’s all about individual progress from workout to workout – even for the guy or woman who starts out benching 50 lbs and is amazed to work up to 160 lbs. Progress is what delivers all the goals. You’re totally right Pete, it’s all about individual progress.I have been using SCT for less than a month and I’ve gone from being flattened by 315(bench)to blowing by 425 with relative ease! I am excited to see how far I can push myself. By the way, last night at the gym a guy asked me about what I was doing.I broke down your system and spotted the guy through his first SCT workout. He loved it! Thanks, Stuart. I hear you on the evangelism. Once you know a better way to do something it feels like there is a moral obligation to tell other people. I wish everyone felt the same way!! Haha. What’s your opinion on rep speed as it relates to intensity and work? Have you done any measurements on this that you could refer me to? I’ve seen recent studies that show moving the weight fast increases the intensity and improves strength more effectively than moving the weights slow. Infact using less weight and moving it faster has the same intensity as using heavier weight and moving slow. I don’t necessarily buy this but then again looking for some data. Rob, in a way I’m not the guy to ask this question of; my focus has been on not moving the weight at all (or as little as feasible) as a means to absolutely maximize the amount of weight used. Using lighter weights but moving them faster strikes me as something that will progress to the point of injury. I don’t know what the studies you mentioned compared, but I never read studies where one of the test groups lifted (slowly, quickly or otherwise) the absolute heaviest weight they could under ideal range of motion and safety conditions the way SCT lifters do – so their conclusions never mean more to me that a comparison of two inferior methods to determine which is less inferior. That month off was just what the doctor ordered. I felt so much stronger. I can’t believe how much I have been underestimating the value of recovery all these years! Stuart, recovery time is like magic – you do nothing and you build muscle and get stronger! This guy Dusan Duvas – 3 times natural body building champ in new zealand (not a static contractor i don’t think – maybe he is now) and he’s full vegan. but then, so is a gorilla and a cow and a horse and a rhino and an elephant etc, they’s all vegan. red blood cells turn into embryonic cells that turn into whatever is required of them including muscle. chlorophyll has the same molecular structure as hemoglobin its just built around magnesium instead of iron. easy trick for the body to convert as long as there is some iron present. i think. Dr Robert Young is your man for nutrition. but live green food is the way to go. a lot healthier (i’m not full vegan yet but edging that way) than loads of protein that it seems may well be unnecessary. i believe i read pete had written on this site somewhere that muscle can grow in the absence of protein. ask Dusan or Doc Young or a rhino. i guess the protein is there in the green stuff. its just not long chain amino’s. i think. The purpose of my trainings – growth of muscular weight. 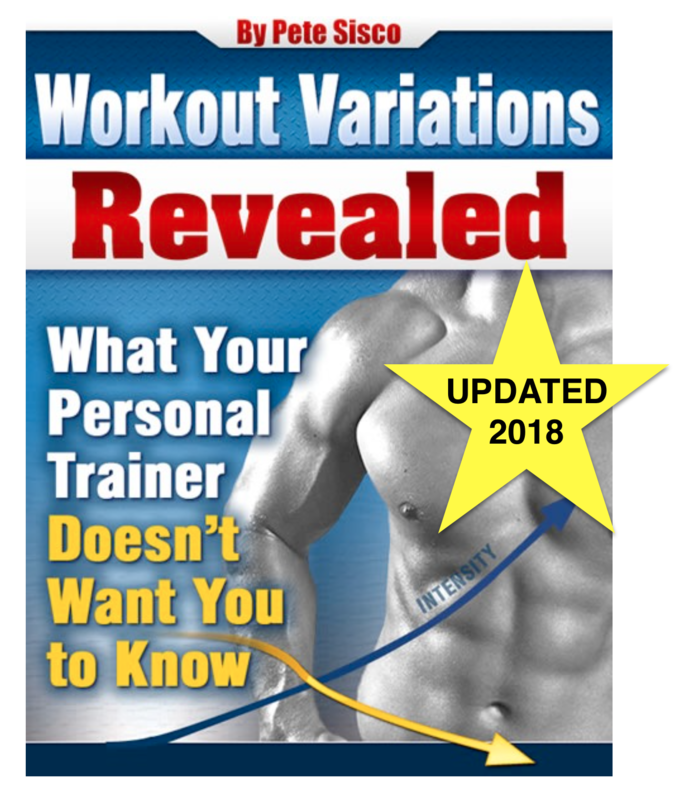 Explain to me, what is more important in these trainings – trainings with development an alpha Power or a beta Power or it is necessary to increase both indicators? I ask about it because when has learned about a method of static repetitions, I have found out good results in growth of Power Factor in each exercise, but the index of capacity of all trening is lost. Probably it will be better to connect the principles, described in your book “Power Factor”, with a method of static repetitions? Muscle can grow without food or water intake, it’s not advisable but it can happen. Let me say first that there is never any good argument against sound nutrition. It’s like clean air and water – an obvious requisite to good health. That said, I think the protein issue has been grossly oversold by the financial interests that exist to sell people protein at 10,000% more than its value if purchased elsewhere. (An egg vs. “egg protein” in a candy bar.) Also, there are many very muscular vegan bodybuilders. I don’t think you need to mix SCT and PF. If you respond better with more volume then just drop SCT and try Power Factor. If time efficiency and general wear and tear on your body are not important to you then do the Power Factor workout. It uses more volume while maintaining a very high intensity, followed to the letter it cannot fail. In other words, as I understand the SCT in terms of what is less wear organimu more logical. (I mean Power factor which we follow sechas). less wear on the body and brings the same effect uvnelicheniya muscles. for each exercise workout A and B in order to maximize RAMER muscles? And why did not connect both the principle of the SCT and PF in training? For example 2 sets of strong amplitude and complete all statics? work on both types of fibers will reduce the time to achieve the final result. Of course I take into account the principle of according greater overload the more rest is necessary. Waiting for your reply. Regards. 1. I don’t understand your questions. It looks like you might be using language translation software. 2. Your questions sound hypothetical. Start doing some training then ask about issues involving your actual progress. We’ll be glad to help you. Excuse me that my English isn’t correct enough. I have asked the translator to translate my letter that it became more clear for you. So, as I’ve understood, as SCT doesn’t bring much damage, it’s more logical. But as I’ve understood, if one training program works, that it is not necessary to refuse it. In this case I speak about the Power Factor to which I’m following now. 1. Proceeding from the aforesaid it is logical to try a statics as it brings smaller deterioration to an organism and brings the same effect of increase in muscles? 2. You didn’t answer, is it necessary to do more than 1 set of deduction for each exercise of training A and B with a view of the maximum increase in the sizes of muscles or not? 3. Why is it impossible to connect both principles SCT and PF on training? For example 2 approaches in strong amplitude and to finish all a statics. It is very important for me because I want to reach the maximum results in increase in muscles as I plan participation in competitions on bodybuilding. As it is important for me because logically it seems that work will reduce time to both types of fibres to end result achievement. Certainly, I consider a dependence principle: than more overload rest is more necessary. I’m waiting your answer. Thank you in advance. 1. Both training methods build muscle. One uses 2% of the volume. Which one you use is a matter of personal preference. 2. No, nothing beyond 5 seconds is “necessary.” It’s personal preference. 3. It’s not impossible. But why would you do it? And what do you do when your static lift goes down but your PF goes up? Measurement and progression is critical. Igor – start lifting some weights in the gym and don’t worry so much about hypothetical situations and how to deal with them. Lift weights, then adjust your training as you go. i’ve recently purchased your ebook. and i finished reading it all. how long do i need to rest in between each sets ? When I initially commented I clicked the -Notify me when new feedback are added- checkbox and now each time a remark is added I get 4 emails with the same comment. Is there any manner you may remove me from that service? Thanks! Just look at the bottom of any of the emails you get for; “Manage your subscriptions:” and click on that link. You can unsubscribe from any threads you were following.